TrueTear by Allergan is an innovative device that can help increase tear production in the eyes through neurostimulation. This FDA approved device helps in the treatment of dry eye syndrome by helping patients produce more tears — naturally. This state-of-the-art technology device for eye care is easy to operate or use. When inserted into the nostrils, the device sends tiny energy pulses which help in stimulating tears. The fact that it is drop-free, chemicals, and drug-free make it very safe for use and a preferred option for dry eye patients. Asides that, the side effects of TrueTear are mild and can be well-tolerated by the body. The device is very effective as you can anticipate instant results. Once you start using the device, you can expect your tear glands to produce more tears to moisturize and lubricate your eyes. 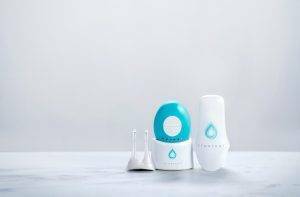 TrueTear uses tiny energy pulses to enhance the eye to produce tears naturally. The small pulses of energy activate a natural response through a process referred to as neurostimulation. The device works by inserting the tip into the nose. It sends tiny energy pulses to stimulate a nerve in the nasal cavity. Thus, sending signals to the brain. The brain sends nerve signals to the tear glands which surrounds the eyes. Finally, this stimulates the glands to increase the production of tears.